PARKER, CO — March 12, 2013 – Rowan Tree Foundation, an nonprofit organization that provides bereavement support to families after the death of a child, has received the 2012 All Star Award from Constant Contact®, Inc., the trusted marketing advisor to more than half a million small organizations worldwide. 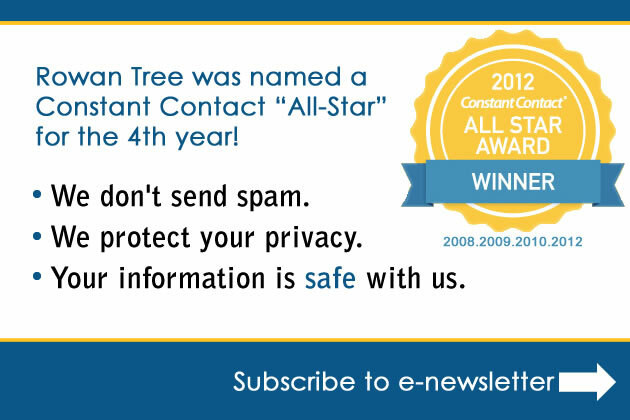 Each year, Constant Contact bestows the All Star Award to a select group of businesses and nonprofits who are successfully leveraging online marketing tools to engage their customer base, and drive success for their organization. Rowan Tree Foundation’s results ranked among the top 10% of Constant Contact’s international customer base. 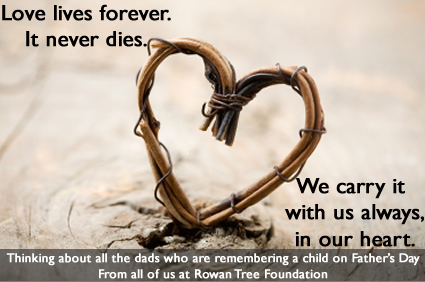 Rowan Tree Foundation is a 501(c)3 nonprofit organization powered by 100% volunteer staff whose mission is to provide ongoing support and resources for families who are coping with the devastating loss of a much-loved child. They offer online peer support forums, outreach services, memorial events, education, and awareness opportunities for families dealing with the loss of a child at any age. Because it’s okay to talk about child loss. Constant Contact wrote the book on Engagement Marketing™ – the new marketing success formula that helps small organizations create and grow customer relationships in today’s socially connected world. More than half a million small businesses, nonprofits and associations worldwide use the company’s online marketing tools to generate new customers, repeat business, and referrals through email marketing, social media marketing, event marketing, local deals, digital storefronts, and online surveys. Only Constant Contact offers the proven combination of affordable tools and free KnowHow®, including local seminars, personal coaching and award-winning product support. The company further supports small organizations through its extensive network of consultants/resellers, technology providers, franchises and national associations. Sending love to all the fathers in the world who are remembering a child this Father’s Day. Men are not immune to the struggles of grief, but often we place them under a different set of expectations when it comes to the emotional part of life. If you know a dad who is missing their child today, reach out and let them know you remember. Remembering all of the moms in the world today who hold a child in their hearts instead of in their arms. 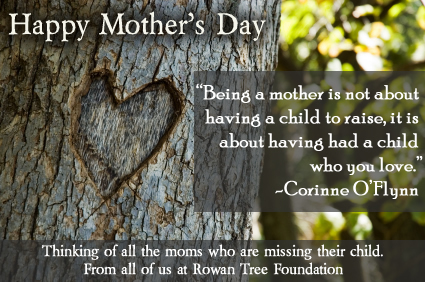 If you know a mom who is missing a child, reach out and honor them today with simple words… Happy Mother’s Day . Healing Garden – Work has begun! If you plan to visit the RTF Angel this weekend for Mother’s Day, you’ll get to see what’s happening. Our friends at the town Public Works Dept have started work on our Healing Garden! They have broken the project into phases so we can continue to raise the funds needed to complete the project and still get work done without disrupting access and use of the Angel Memorial. We still need your help! 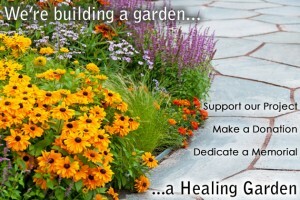 Please consider Making a Donation to help us complete the Healing Garden. I got word from the landscaping team that they were finished with the first phase this morning and couldn’t wait for me to check it out. 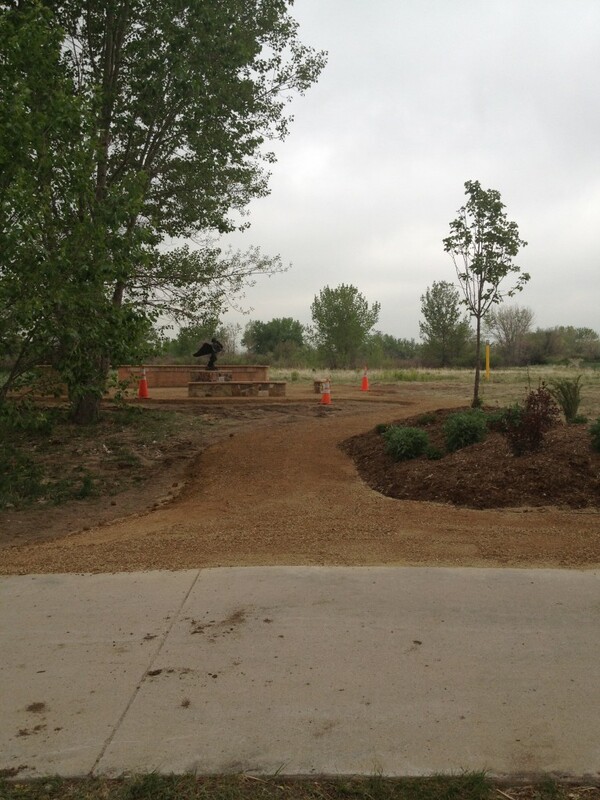 These are shots of the new path that winds up toward the angel and around the plaza. The ground has been leveled out and built up, and when it is finished you’ll be able to walk all the way around the plaza without being in the wild field grass. 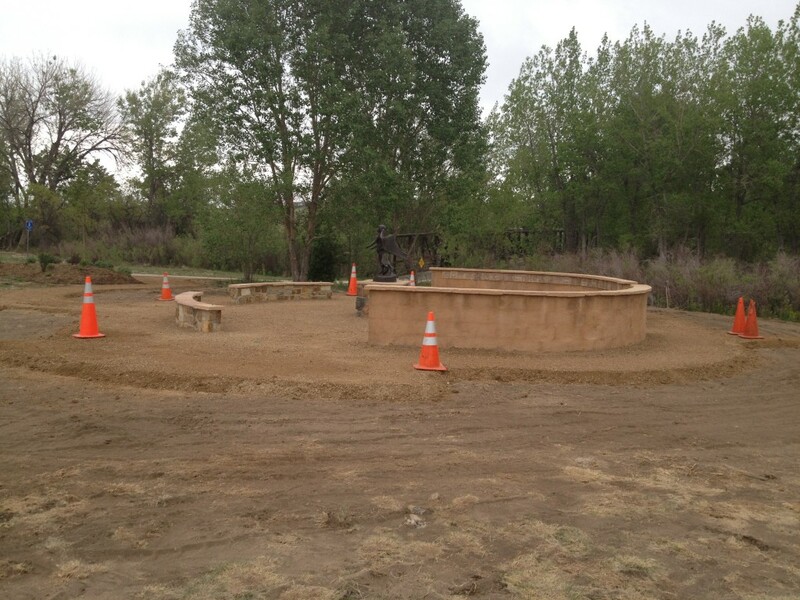 We are so excited, and grateful to the Parker landscaping team for all of their help. We still have more fundraising to do, so if you are able, we could use your help. Every donation helps us get closer. Give $10, give $20… no donation is too small when every penny makes a difference. have an engraved plaque installed in the garden! We are so excited to finally see this through after 5 years of work. Truly a testament to never give up!! Last Chance for Tree Sponsors! Today is the last day to get your name in the drawing to be a tree sponsor and dedicate a tree. Enter by midnight tonight. All the details and a sign-up form can be found here. The drawing will take place tomorrow. Everyone who entered will be notified if their name was selected or not. 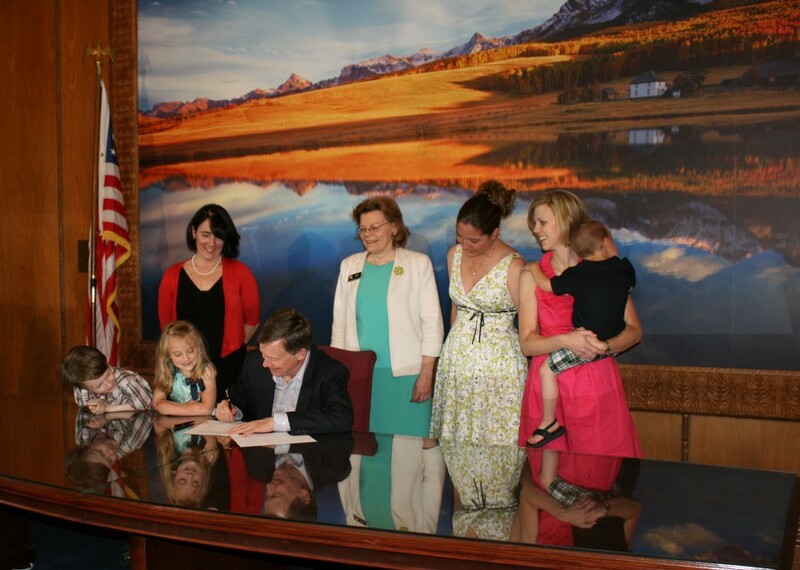 HB12-1131 – To the Governor! Stay tuned, we’ll update the RTF Blog as we have news. HB12-1131 – Passes Senate 3rd Reading! We’re through the Senate with a 28-6 vote! Now back to the House for the FINAL Reading and Vote and if we pass there, the Governor’s pen will make our bill into a COLORADO LAW! We are SO CLOSE!! Thank you everyone for your continued support. This is very exciting for all of us. Hooray!! We are almost there. You guys, we have one more vote in the Senate before the final vote in the house! The Senate “3rd Reading” will happen sometime soon, of course if we have notice we will let you know asap. 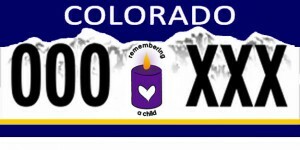 Please check out our earlier post about emailing the Senators if you want to get the word to them to support our bill for a Child Loss License Plate in Colorado. Please continue to send prayers and contact our Senators and lend your support! Email your story to the Senate! Hi everyone, HB12-1131 “2nd Reading” coming up on TOMORROW’s CALENDAR. If we continue to pass, the process to come looks like this: 2nd Reading at Senate, 3rd Reading (Final Passage) at Senate, Final Reading and Passage in the House, Signed into Law. It seems we were “laid over” today in the Senate, which means we have been moved to the next day’s calendar. This is good, because you now have time to send an email to all the Senators! I’ve compiled all of their addresses here separated by commas to make it easy for you copy and paste this into your email and send a note asking them to vote in SUPPORT OF HB12-1131 for Child Loss Awareness License Plates. Thank you for taking the time to send your stories to the Senate. They need to know that real people are interested in having this and when you tell them your story, it hits home. Some of these Senators have already voted in favor during our committee hearing. lotochtrop@aol.com – Senator Lois Tochtrop is our Senate Sponsor. She is already supporting the bill on our behalf. If you wanted to email her a thank you, here is her address!